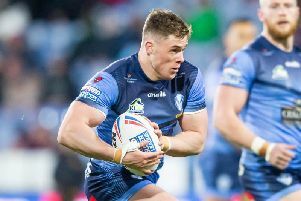 Sydney Roosters will step up their preparations for the World Club Challenge clash with Wigan Warriors by facing St Helens in an opposed training session. Saints coach Justin Holbrook is a former assistant to Roosters' Trent Robinson and the pair arranged the session last October when they met in London. The two sides will meet behind closed doors on Friday at the Totally Wicked Stadium, a day after the Roosters arrive on these shores from France where they have had a similar exercise with Toulouse in Paris. Such opposed sessions are common in these circumstances. Wigan faced Cronulla in training last year before their Super League match with Hull FC in Wollongong. And the Warriors have twice faced South Sydney in training sessions - first in 2014 before they took on the Sydney Roosters in the World Club Challenge, and again the following year at Orrell ahead of the Rabbitohs' WCC victory against Saints.